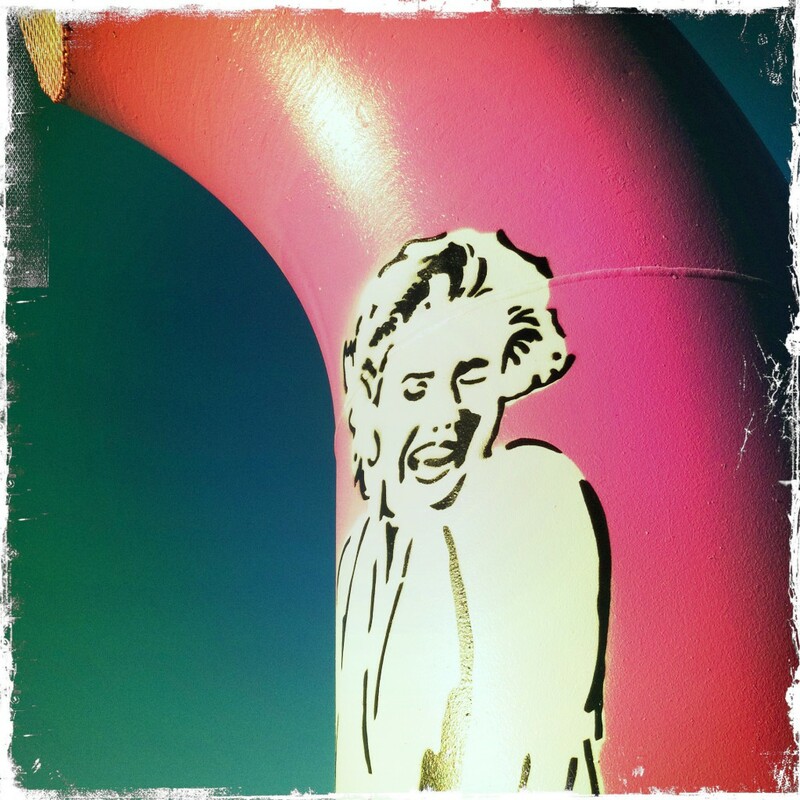 My rendering of Marilyn Monroe in Bunny Boots was selected for the 2012 Downtown Fairbanks Association “Paint the Pipes” contest, a part of their “Art in the Heart” project. As an architect I submitted this design in support of the efforts of the Fairbanks Downtown Association as well as to add some humor and quirk, which we need as much as bunny boots to get through the winter. I wanted to celebrate the vital but unspoken role infrastructure plays, just as icons play a role in our culture. Those pipes have been around the 19 years I have lived here. I could tell you their purpose, but I often overlooked them, just like most everyone else. Now, they will be hard to overlook. Where else would a pair of bunny boots be more enticing than Marilyn’s legs? Some would say my design style is cylinder-friendly, at the least it embraces the interplay of curves and lines in both form and function. Graffiti style art is usually found on flat empty canvasses: building walls, bridge abutments, or signage. Spray-painting the pipe with stencils was difficult, but it was an evocative challenge to this convention-busting art form. Despite the significant changes in downtown over the last 20 years, art has been the single most regular draw to bring people downtown–from the First Friday shows, to the wall murals. Even the sculpture of the First Family is part of our community identity. 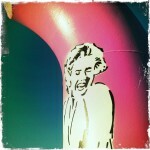 Public art enriches our downtown as a destination.